This time round on the GDL game jam we have 7 days rather then the previous jams that were 3 days. The themes for this one are Aliens and Abductions. This ones going to be picture heavy. I had already had a solid idea for this one when the hint was thrown out which was Area 51, so Im going to run with that. 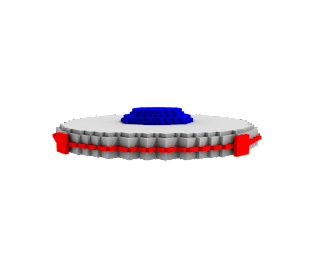 First up was designing the player UFO. Next up was setting up a abduction beam for player. Next was setting up something to be abducted. Figuring out how to turn off the gravity on it was a pain in the arse. It uses a raycast to detect if the beam is on, and is just a rigidbody. Most of the tutorials I found with changing rigidbody stuff was a few versions old. 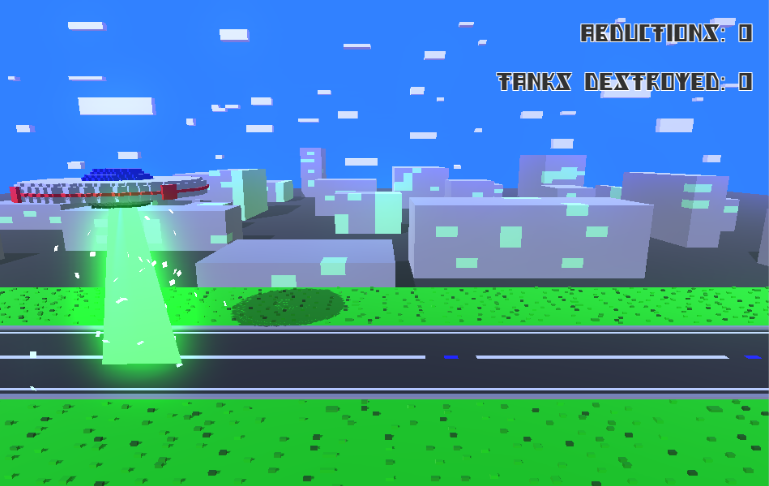 Next up was adding some scenery to make it look nicer, also added a new object, tanks, which you cant abduct, but if you bring them all the way to the top, then drop them they die. They will also shoot at you. They can also be dropped on other tanks to destroy both. Next I sorted the tanks, this meant models, particles, and shooting missiles. And heres the result. 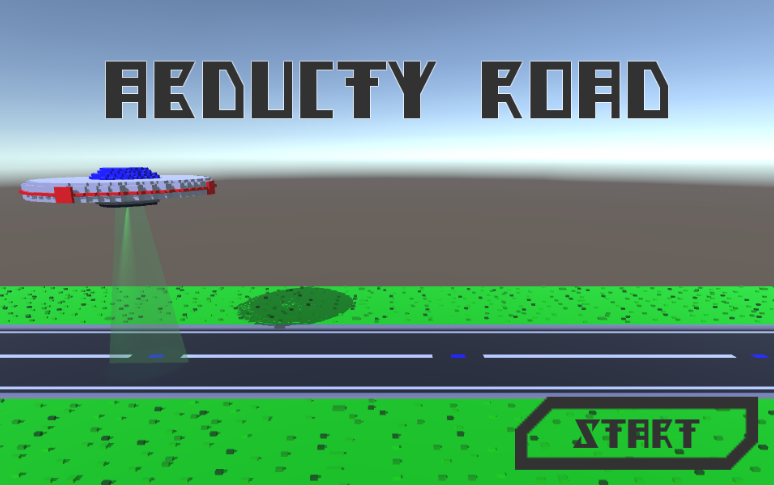 And also added a dodge mechanic for the player. Then to animate the abductees. There will be several different colours present in the game. 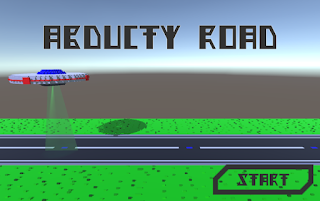 Next was a failure state for the player, it was a bit of a pain getting the rigidbody to work in the way I wanted it to, but the end result is acceptable and uses the physics engine partially. Now I needed some way to start, and replay the game. UI incoming. Kept it pretty basic, Start and replay button only with some stats at the end. I used the Berkel font as it has quite a nice alien feel to it, and is available for commercial use. Nouny Verb Title and all. Now its onto the Juicing, Camera Shake and all. 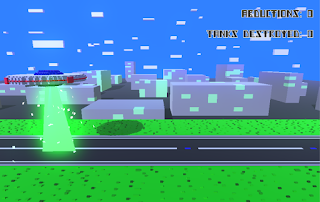 A small shake was added to when the missiles get destroyed, and a large shake when the player is. And then some nice tasty bloom. After a couple of attempts I felt the cityscape wasnt working right, so increased the number of buildings and animated the clouds. I also increased the size of the people. And that is it. Time for the voting to begin. I am considering doing a full release on mobile of this one.